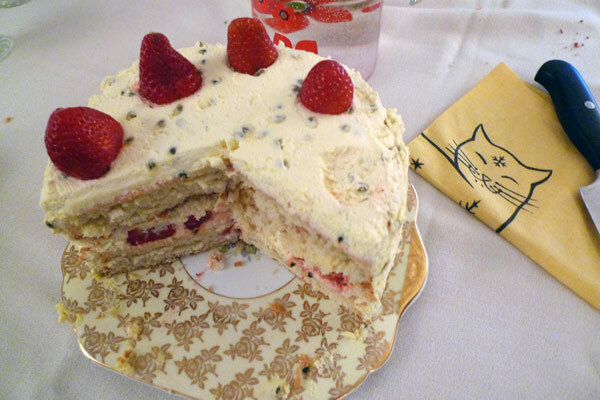 Genoise with Passionfruit Cream and Strawberries « Hello! Bonjour! Willkommen!